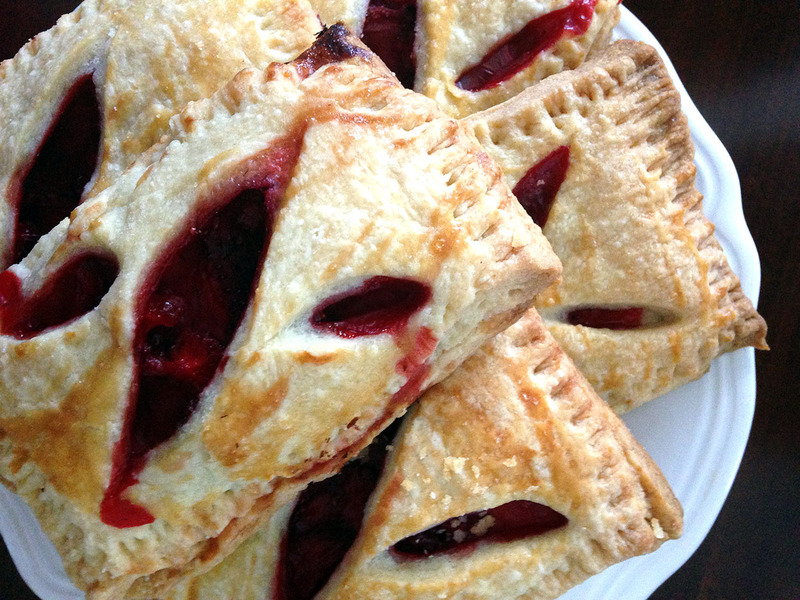 So I’ve had some requests for the recipe of the mini strawberry hand pies that were pictured on my post this morning. My oldest daughter found the recipe here. I must confess that she was the baker of these delicious pies. I just sampled them for her! 1. To make the pastry…whisk together the flour, sugar, and salt and then add in the butter until small lumps form. 2. Add the combined egg and milk mixture and mix until it comes together. 3. Divide the dough in half, shape each half into a 3 x 5 rectangle, wrap in plastic, and refrigerate for one hour. 4. To make the filling…combine all the ingredients except the egg in a saucepan and cook over medium heat until the mixture starts to thicken, about 5 minutes. 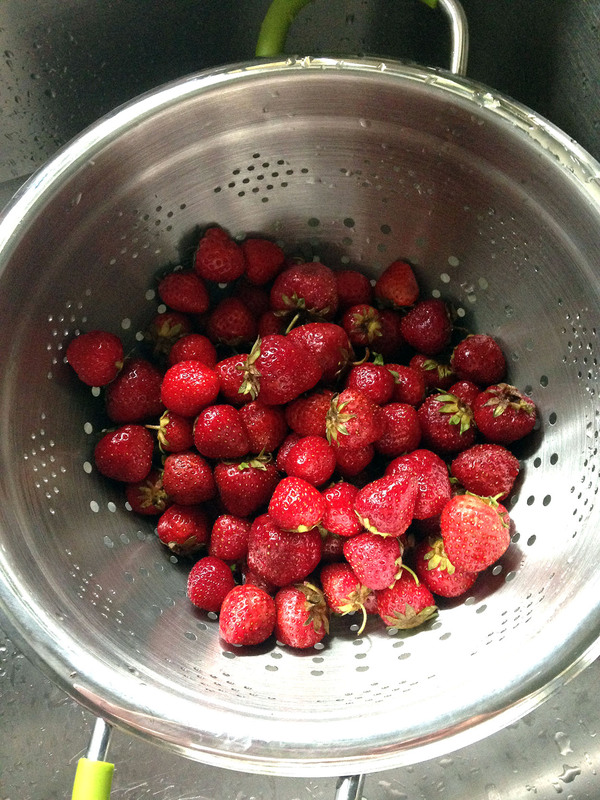 Transfer to a bowl and cool to room temperature. 5. Preheat oven to 350 degrees. Lightly grease a baking sheet, or line it with parchment. 6. To assemble the pies…place one piece of dough on a lightly floured work surface, and roll it into a 9 x 12 rectangle. Trim the edges and cut out eight 3 x 4.5 rectangles. Repeat with the remaining dough. 7. 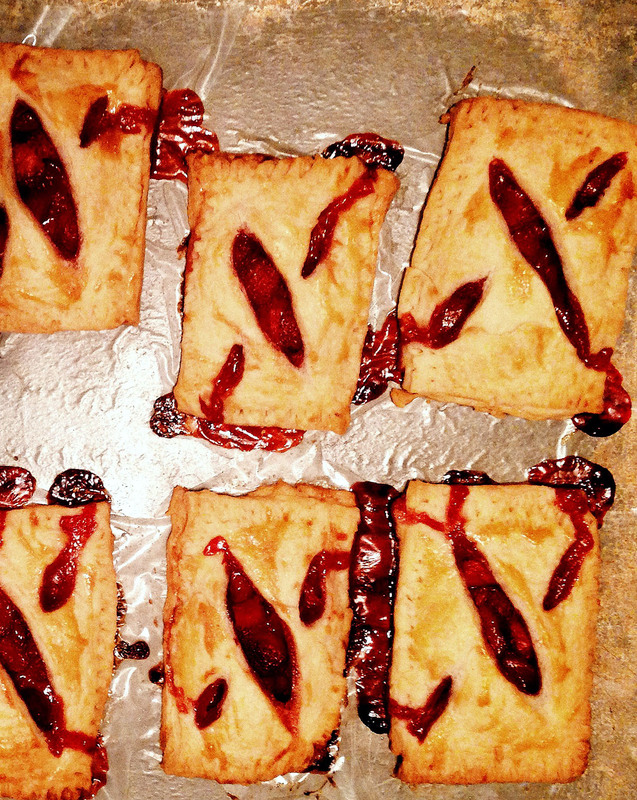 Place a heaping tablespoon of filling on eight of the rectangles. Brush some beaten egg along the edges. 8. Cut vents into the remaining rectangles. 9. Top the filled rectangles with the vented rectangles. Press along the edges with the tines of a floured fork to seal. 10. Brush the tops of the pies with the beaten egg, and sprinkle with sugar, if desired. Transfer to the baking sheet. 11. Bake the pies for 28-33 minutes, until they are a light golden brown. Remove from the oven, and cool on the pan. These would be perfect desserts for any Fourth of July celebration this week. Happy baking!